This is a guest post written by Jack White. I didn’t receive any compensation for it. You can find out more about Jack in the ‘About the Author’ section at the end. Headlines are the first, and often the only impression your content will make on potential readers. If they don’t click on the link to visit your post, the rest of the article might as well not exist. Still, grabbing searchers’ attention isn’t the only role of a headline. A great title is also compelling, communicates your full message to the target audience, and promises readers some kind of value, a reward for the time they invest in reading further. So, how do you go about crafting catchy blog titles that intrigue and inform readers, and get you more buzz and more love? Below are 5 tips to set you on the right path! People do judge a book by its cover, and the title “on the cover” should call for their attention, and convince them to go on and read the first sentence. If this is done well, the introduction, subtitles, the bullet points and storytelling will take care of the rest. Achieving this, however, isn’t easy, especially in today’s digitalized world, where people’s average attention span is shorter than that of a goldfish. Think about your readers when writing your headlines. What do they find useful? Stay relevant to their interests and needs. People should be able to know right from the headline how they’ll benefit from reading your content. So, go on and tell them. Avoid vague and mysterious headlines. Great titles are clear about what follows. They do not try to confuse or sound too clever. If your readers feel tricked, they may never come back to your blog. Set the right expectations for your audience in the title, and then deliver on them. If you are going to be controversial, be mindful of it. Sensational headlines are sometimes very effective in drawing in traffic, especially on social media, but you have to make sure that the statements you make are backed up with solid and logical arguments. Great clickable blog titles are not only attractive and relevant to human readers, but to search engines as well. Their algorithms “read through” the headline to determine whether they should list the blog post when searchers look up your queries. So, make sure that your targeted keywords are included in the title. However, when writing the headlines, think about the end user. Stay subtle, avoid keyword stuffing, keep the headline readable and understandable by humans, and be careful not to sound spammy, as you will end up putting off your readers for good. This is mostly due to the great attention-grabbing power of a numbered headline. Numerals often stop the wandering eye and attract fixations, even when they’re embedded within a mass of words that users otherwise ignore. 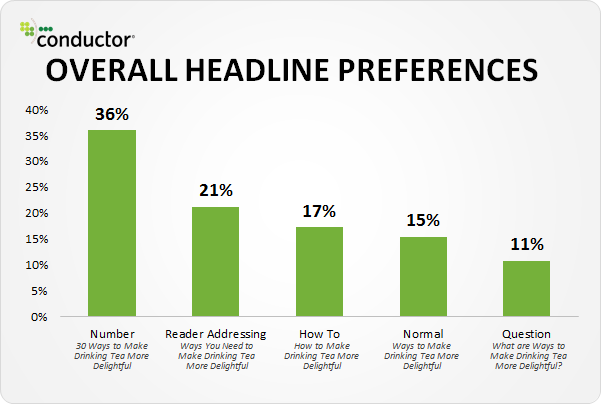 Adding numbers also makes your headlines more specific and gives greater credibility to your content. People appreciate things that are specific as they’re predictable, and this gives them the valuable sense of control. An additional benefit to using numbers in blog titles is that you can structure these posts in lists, and listicles are hugely popular. 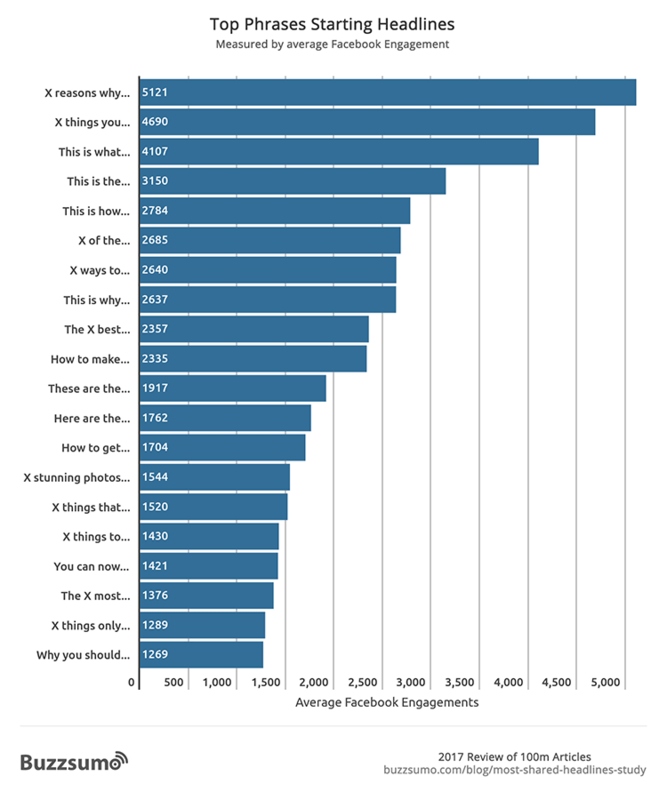 In fact, one analysis of BuzzFeed’s article titles shows that 26% of their top content contains list posts, and another study reveals they’re the most likely type of content to be shared (on social media) more than 100 or even 1000 times. To see what numbers (and words) work best in titles, check out Buzzsumo’s most recent analysis of over 100 million headlines, published in 2017. There’s no arguing with data, and data says that the average length of a viral headline is 62 characters. Google will also display only the first 50 to 60 characters of a title tag. So, if you want your title to appear in its full glory in the SERPs, as well as fit comfortably in a social post, make sure to stick to this rule of thumb when writing your blog’s headlines. However, if your title needs to be longer than these eight or so words, in order to achieve that perfect blend of reader engagement and delivering on expectations, then do it. There should be no compromise on this. If all of this fails, you should ultimately restructure your content, and become aware of the important parts that you were missing. 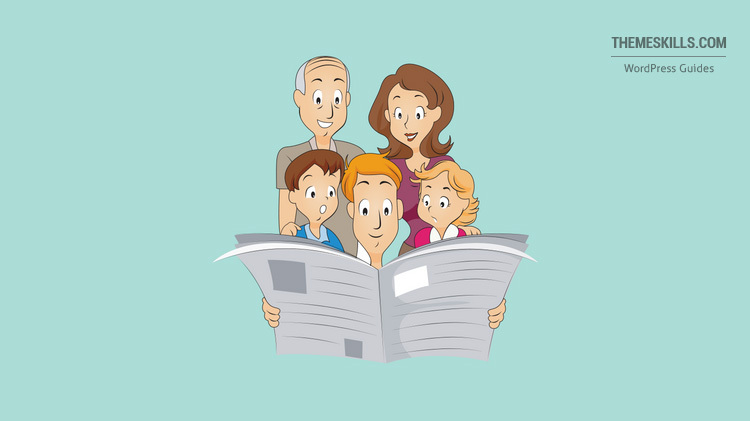 What do you think is the number one factor in increasing your conversion rate through headlines? Hope you found the post useful and comprehensive, and you’ll start writing some very catchy headlines! Don’t forget to share the post with your friends! If you have any questions or thoughts, drop a comment or send a message via contact or Facebook page. You can also hit the follow button on Twitter and subscribe to the YouTube channel. 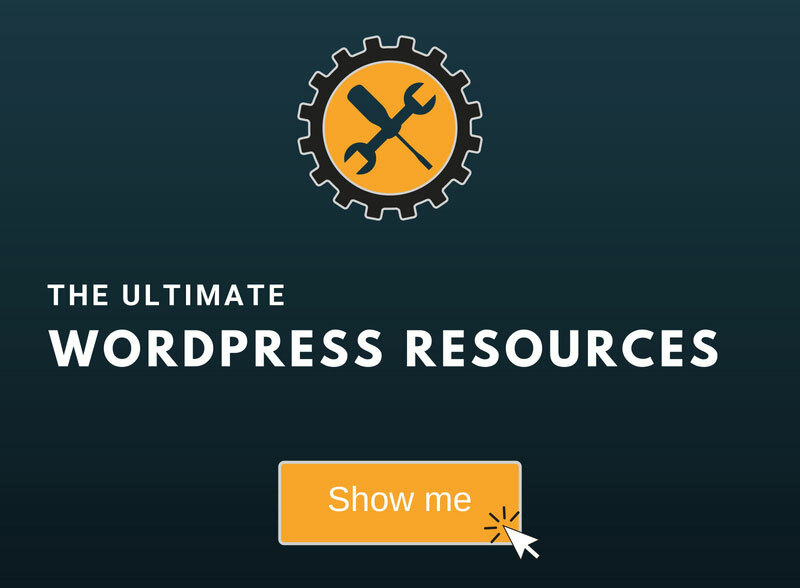 If you want to start your own WordPress blog, or need a website for your business, ThemeSkills’ WordPress installation service is at your disposal! On-going WordPress support and maintenance is on the menu as well! 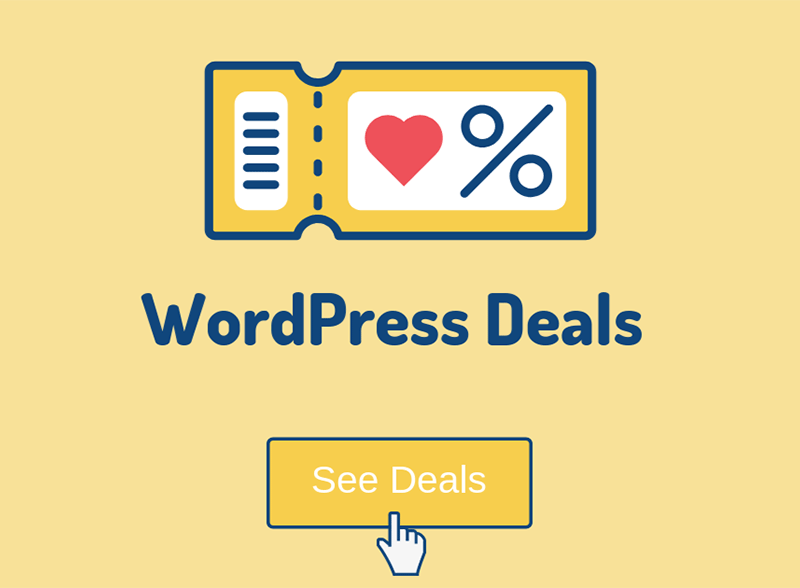 You can also purchase a ready-made WordPress website with hosting and support included! Meet Jack White, who is an employee of the PR department at Essays.ScholarAdvisor.com. Jack, an excellent writer today, worked his way up from the bottom, and he hopes to continue his success even into the future.